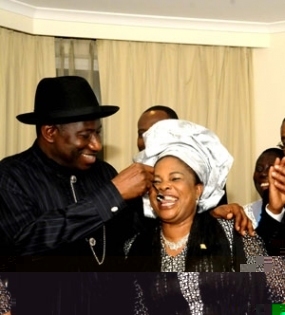 To quicken the recovery of the First Lady, Dame Patience Jonathan, officials of Horst Schmidt Klinik, the German Hospital where she is receiving medication, yesterday, barred visitors and some top Nigerian officials who went to see her from, doing so. 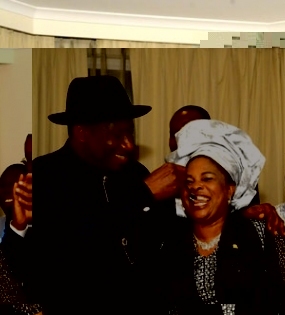 An official of the hospital said that some top Nigerian officials, including diplomats were barred from seeing Mrs Jonathan to enable her have deserved rest to quicken her recovery. Meanwhḭjkhere were indications, yesterday, that the Presidency might be forced to admit the nature of illness afflicting Dame Jonathan. Findings indicated that the Presidency was under pressure to own up to the fact that the President’s wife was sick and had been a Myed for treatment in a German hospital. A competent source said that the Presidency might be compelled to release the ‘true position’ of Mrs. Jonathan’s health condition to put the records straight and end the deluge of fabricated stories trailing her health condition and whereabouts.